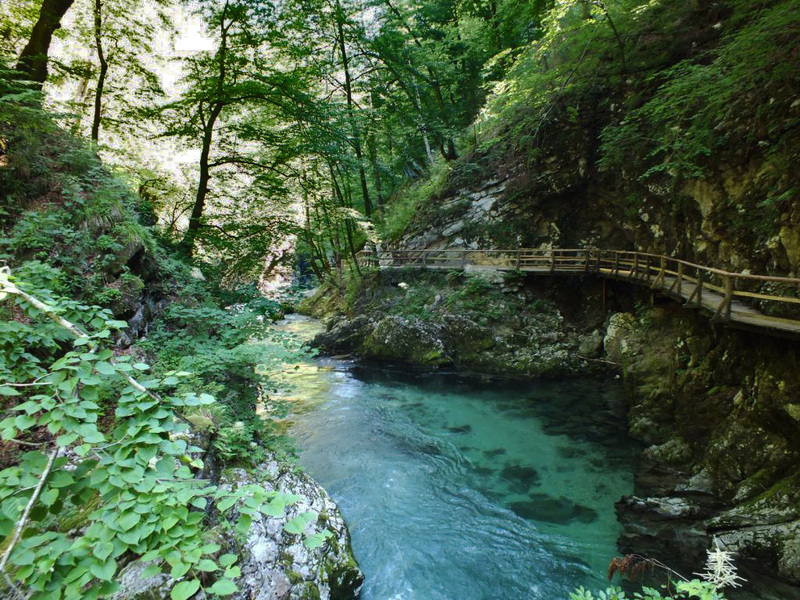 This Slovenian river looks lovely. The green colour is really unusual. The clearest water I can recall seeing was off the coast of Mombasa in Kenya. But that was the ocean, not fresh water. Lovely shots Jude. Ah, yes the water there is lovely and clear – a shame there isn’t more clean drinking water in Africa! Wow, gorgeous images of a beautiful place. That is so beautiful! It rather reminds me of a place near Javea in Spain where I went one year with my sister. The same crystal clear waters 🙂 I’m looking forward to putting my own post together for this weeks theme, which will also be about clean water! Everybody deserves clean water. We donate each month to wateraid so I hope it is helping! Every little thing we can do makes a difference to someone, somewhere! Jude we would say definitely Slovenia is the cleanest spot we have ever visited in the world. Lovely photos of one of our favorite destinations. I thought you might enjoy this one Sue 🙂 I imagine Canada must have some spectacular waterways too – and not just Niagara! I could just dance under those waterfalls! I think the cleanest looking water I’ve ever seen was in Washington State waterfalls. Where are they then? We hope to be heading over to Seattle in September. You’ve got me there! I have these pictures in my head but I’ll have to get out the road atlas and also peruse my picture files. I’ll get back to you. Back again. That was easier than I thought! 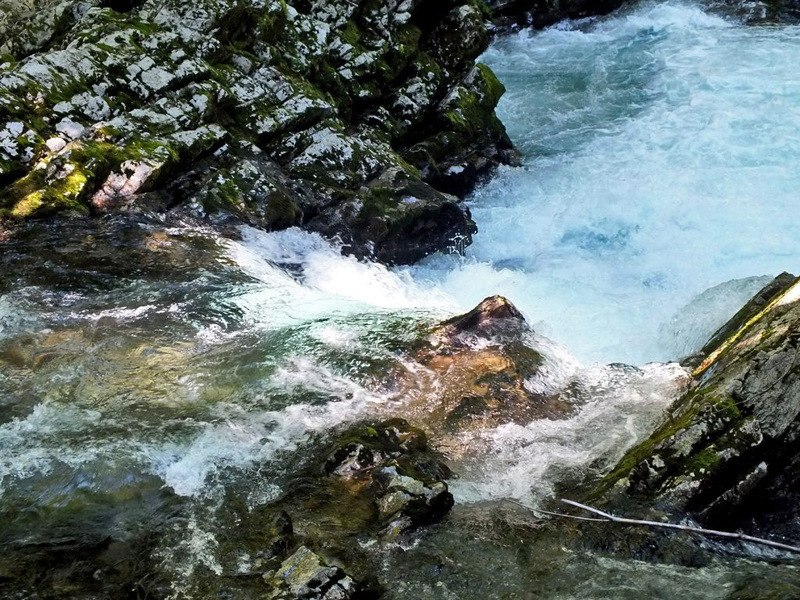 I found some lovely rushing water photos in my file from the Olympic Peninsula into the Olympic National Park and also from a trip around the Cascade Loop which you can Google. Both are more than a day trip in a car. Both have stunning mountain views as well! Oh, thank you for that. We were thinking of driving around the Olympic Peninsula, so I’ll definitely look these up. The Olympic National Park has very spooky deciduous rainforests. They are magnificent. I hope you can fit them in your trip. Absolutely beautiful photos Jude! Clean water is something many take for granted in this part of the world and I appreciate every effort to call attention to the need in all corners. Thanks Lisa. Yes it is very wrong that some people still have to drink filthy water. What gorgeous blues and greens! The water was a stunning colour – so clear too, I just couldn’t stop looking at it! I’d love to clean my self in these waters, wonderful captures. I think the clearest waters I have seen or tasted was in the Norwegian mountains, but this could of course be wishful thinking! 🙂 Yes I suppose so, Jude.., wishful thinking indeed. I think any water that runs from snow melt must be clear and clean – until it hits muddy bottomed rivers – that’s why rivers like this which run over stones and pebbles (as in some Scottish streams) always look so clear. Cheers Sylvia. Interesting indeed but I know which one I prefer! Wow Jude, the Vintgar Gorge adds new meaning to the phrase crystal clear. It looks idyllic too! 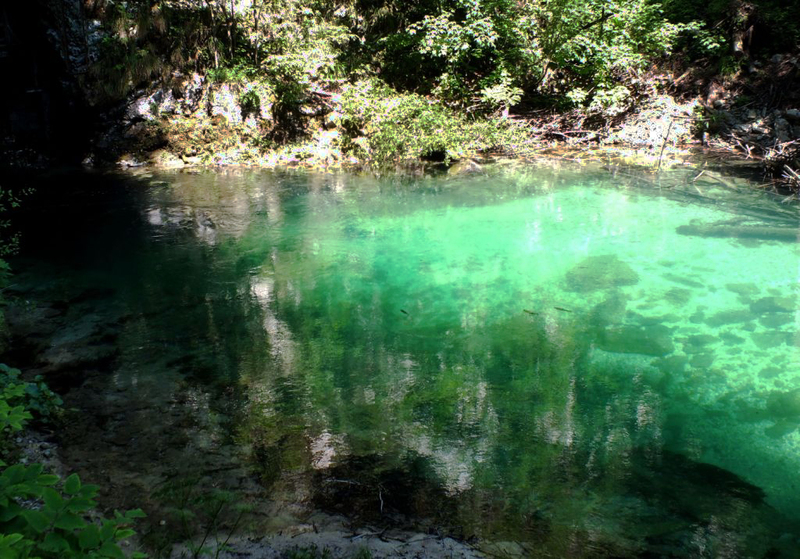 It was definitely crystal clear – and a really cool place to walk in the heat. You didn’t take a dip?? I didn’t see anyone in the water – too fast flowing, too cold I imagine. 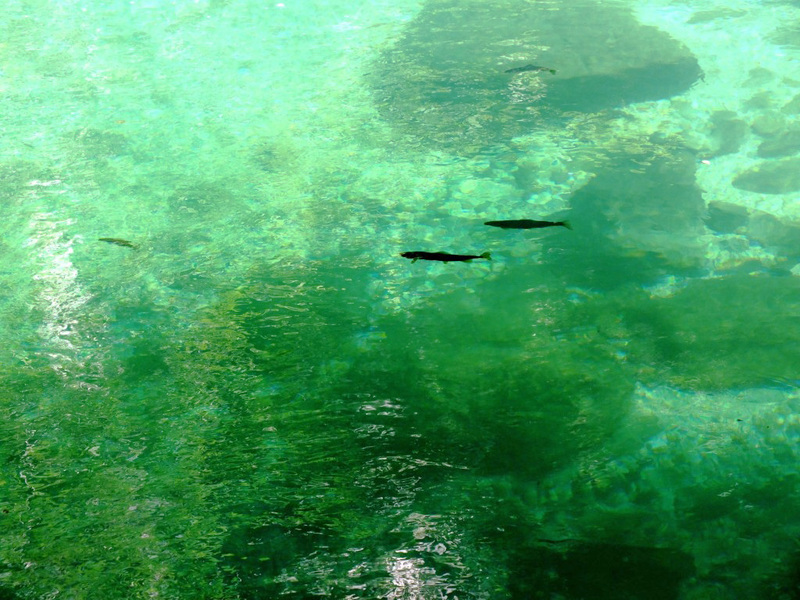 People do swim in Lake Bled though, which also has very clear water. The walkway in your final picture reminds me of the ones mostly higher up that we recently walked along through Johnston Canyon in the Canadian Rockies.